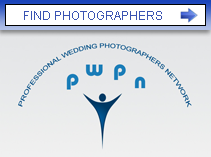 The PWPN website is designed to offer you a simple search for available local photographers. You may have come to our website after a referral from one of our members website who is already booked. Please enter the date of your wedding and the County you are in and our search results will only display the available members. You can then visit their website directly from the links next to their business names. You can also find our members profiles on each county listing. We are a networking group of professional wedding photographers in the UK and Republic of Ireland referring our enquiries to other trusted members if we cannot cover a wedding. Our aim is to offer you guidance in what you should consider before making the decision to use the services of a particular wedding photographer. We also provide an online calendar for all our members where you can check their availability. 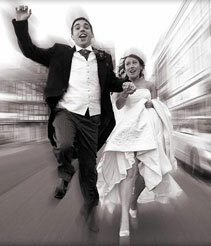 Our unique database system will stop you wasting your precious time ringing around to find a local wedding photographer, just to hear the words "Sorry we're booked". All PWPN Photographers are accepted to be a member only after their professional status is checked as professionals and proof of their full insurance policies received by us. One difference from other photographic organisations is that all our members are already qualified professional wedding photographers.